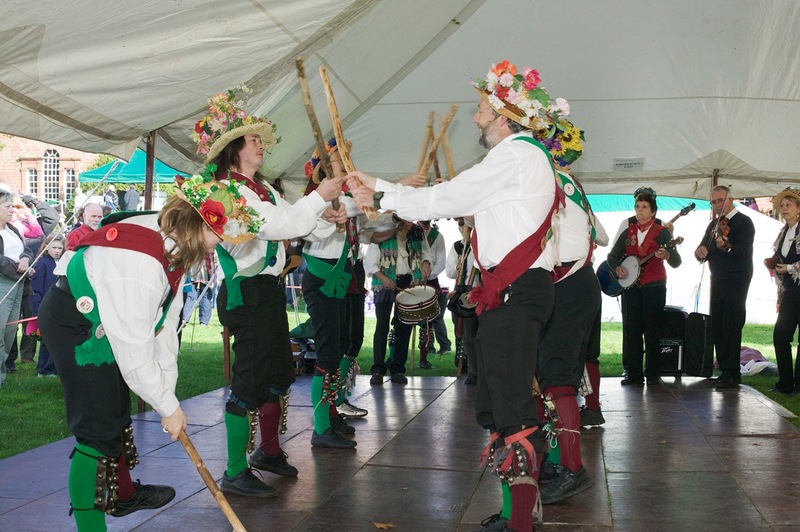 Morris Dancers at Apple Day © www.golakes.co.uk. In the heart of Cumbria, Penrith is the social and commercial centre of the Eden District. It is the perfect base from which visitors can explore the Eden Valley and the Lake District National Park. The cobbled lanes in the town centre have independent shops and a range of eateries which range from cafes to fine dining. There’s also a regular Farmers’ Market every third Tuesday from March to December. In the evenings the town has theatre and cinema, as well as restaurants and pubs offering traditional food and local ales. Outdoors there is plenty of walking, cycling, fishing, and canoeing to enjoy, right here in the town. Today the Castle is a historic feature which sits in the beautiful park and rose gardens. In early medieval times there was a pele (or peel) tower on this site. These were small look-out towers on the northern marches. They lit beacons to warn of imminent danger from invading Scots. In 1399 William Strickland added walls around the earlier keep. Later, the castle was a residence for the ill-fated Richard III. There are several prehistoric sites close to Penrith. Long Meg and her daughters, an oval in shape, make a stone circle about 350 feet across. It is one of the largest in England and with 69 stones is the largest in Cumbria. Today, 27 stones remain, and the red sandstone pillar Long Meg is the tallest at about 12 ft. 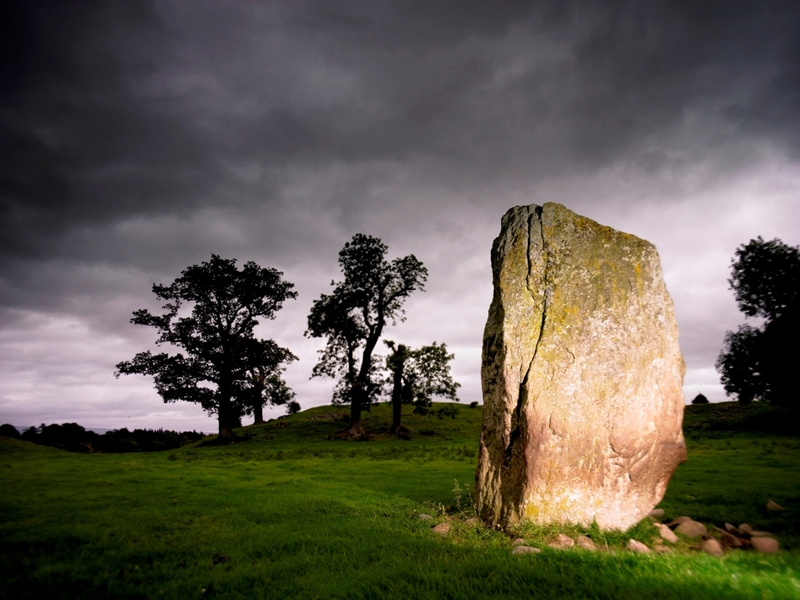 The stone for Long Meg comes from the River Eden, about a mile away. There are carvings on the north-west side of it. Close by is Little Meg, a smaller circle which can disappear under the tall grasses in summer. About 2km to the north is Glassonby, another stone circle. This is on a raised mound and has 30 stones. Mayburgh Henge Penrith © www.golakes.co.uk. Nearby is Neolithic Mayburgh Henge; about 4,500 years old. It is about 300 ft across and has a pebble bank around it. Today there is a single stone. In the C19th William Stukely noted a further four stones which may have been removed or destroyed. Robinson’s School, now Penrith Museum and Tourist Information Centre, dates from 1670 and was a school until recently. The earliest date for a church on the site of St Andrews is 1133. The present building dates from 1720. Nicholas Hawksmoor, a pupil of Christopher Wren, designed the church around a Norman pele tower, and based it on St Andrew’s in Holborn The church and community centre are now at the heart of the local community. Previous PostEastbourne is a vibrant town with majestic buildings. Its breathtaking carpet flower bedding on the seafront is testimony to the value that the town places on its visitors. Next PostChepstow has always been a forward looking, modern town. At the gateway to the Wales Coast Path, you can stand on its Bridge and have one foot in Wales and the other foot in England.